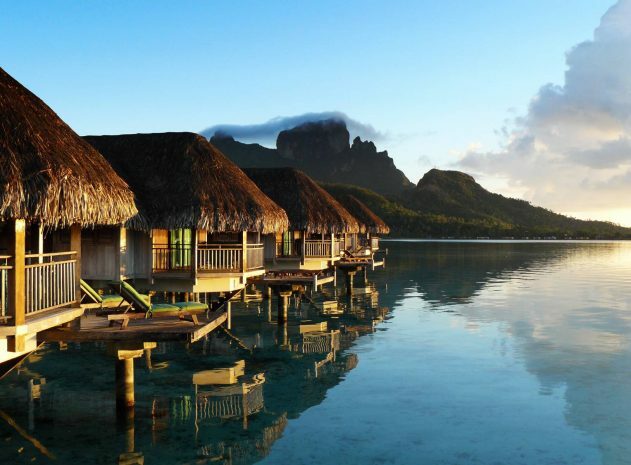 The Horizon Luxury Overwater Bungalow creates an exclusive soothing retreat, above the turquoise waters. Located at the end of the dock, each bungalow offers private access to the lagoon, great snorkeling, a private terrace with a unique panoramic view of Bora Bora and exclusive Horizon Benefits. Priority seating at Manu Tuki restaurant and at Latitude 16 restaurant (Marara).